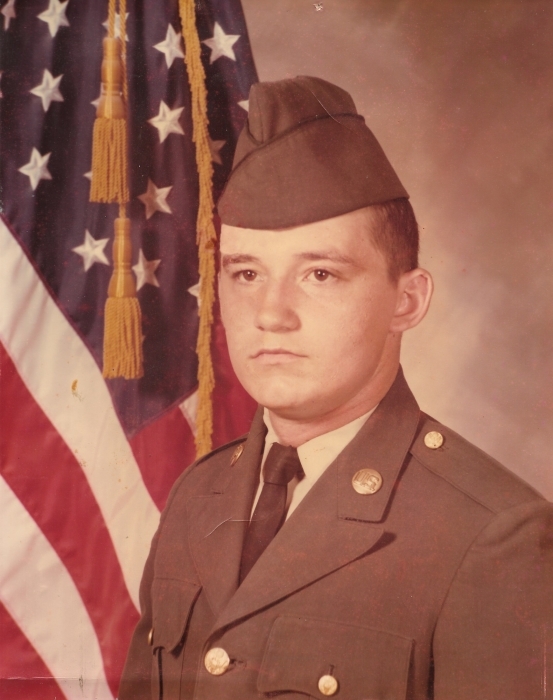 Billy Lynn Herron, age 61 of Jonesville, VA was born on Tuesday, March 11, 1958 in Pennington Gap, VA and passed away on Wednesday, April 10, 2019 at his home in Jonesville, VA. Billy was retired from Aspen Tree Co. and was a U.S. Army Veteran. He was preceded in death by his father, Roy Doyle Herron; one daughter, Brandy Pease; one grandson, Pettus Doyle Pease; his step-father, Marvin Jones and his nephew, Justin Lee Sweeney. Billy is survived by his wife, Velvet Tina Herron of the home; his mother, Alice Jones of Pennington Gap, VA; one step-son, Owen Layne; one step-daughter, Samantha Layne both of Lynchburg, VA and one sister, Darlene Sweeney and husband Jerry of Pennington Gap, VA. He is also survived by his mother-in-law, Cora Dearry of Dryden, VA and his father-in-law, Orie Wilgus of Lynchburg, VA; two brothers-in-law, Orie Wilgus Jr. of Lynchburg, VA and Abner Dearry of Dryden, VA; one sister-in-law, Sandra Spencer of Lynchburg, VA and a special aunt, Barbara McElroy of Pennington Gap, VA; also several uncles, aunts, nieces, nephews, cousins and a host of many friends. Visitation will be from 5:00 PM until 7:00 PM Monday, April 15, 2019 at the Province Funeral Home in Pennington Gap, VA with Military Honors to be conducted by the local VFW Honor Guard and the Army National Guard Honors Team. A memorial service will follow at 7:00 PM Monday with Pastor Tracy McPhearson and Speaker Owen Layne officiating.. Memorials and condolences can be sent to the family by visiting www.provincefuneralhome.com. We are located at 42098 E. Morgan Ave. Pennington Gap, VA 24277. Phone 276-546-2456. Province Funeral Homes are honored to be serving the family of Billy Lynn Herron.